Rossendale Rotary will be holding their annual Stroke Awareness Blood Pressure Event, between 10am and 4pm on the 23rd of April, at Winfield's in Haslingden. Everyone welcome. 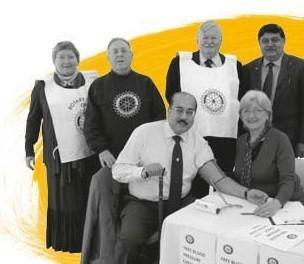 Rotary International in Great Britain and Ireland and the Stroke Association have teamed up to help people in Rossendale take a moment and get their blood pressure tested. They will be hosting free blood pressure tests between 10am and 4pm on the 23rd of April, at Winfield's in Haslingdento raiseawareness of the link between high blood pressure and stroke. Over half of all strokes can be caused by high blood pressure. As well as having a blood pressure check, local residents in Rossendale will also receive advice on steps to keep it under control and reduce their stroke risk. In addition to the events taking place on 23 April, there will be blood pressure checks throughout the year. To find your nearest blood pressure event, you can visit www.stroke.org.uk/kybp.